BuildForce Canada projects that Ontario’s construction employment will thrive in the years ahead and it will be challenging to replace retiring workers. 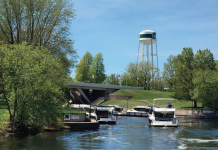 public transportation and infrastructure to keep pace with a growing population. The pace of activity in new homebuilding is expected to moderate, but population growth should sustain high levels of demand for condo, mid- and high-rise markets in urban centres. 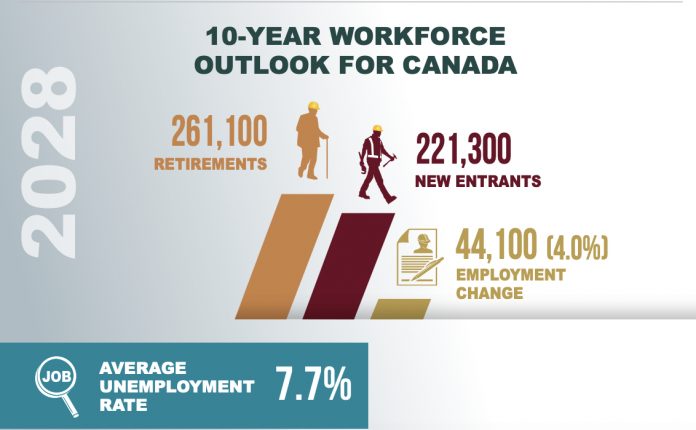 “The construction and maintenance industry will need to hire, train, and retain almost 103,900 additional workers over the coming decade, as 91,100 workers, the equivalent of one quarter (-25%) of Ontario’s current construction labour force, are expected to retire. Nationally, the construction and maintenance industry will need to recruit an additional 300,200 workers by 2028, BuildForce reports. “While employment in the Canadian construction industry will be little changed over the next decade, adding approximately 44,100 workers or rising a mere 4 percent, when coupled with the anticipated retirement of more than 261,000 workers, maintaining future labour force capacity will require increased focus on recruitment. BuildForce Canada forecasts construction employment in Canada will strengthen modestly through 2020, as demands driven by major energy, public transportation, and other infrastructure projects rise to a near-term peak, offsetting a continued softening in housing starts. For the first time since 2009, employment demand is projected to ebb after 2021, once peak project requirements are met. Slower population growth limits construction expansion nationally over the latter half of the 2019–2028 scenario period, although a period of moderate growth is expected to follow in most provinces to 2028.